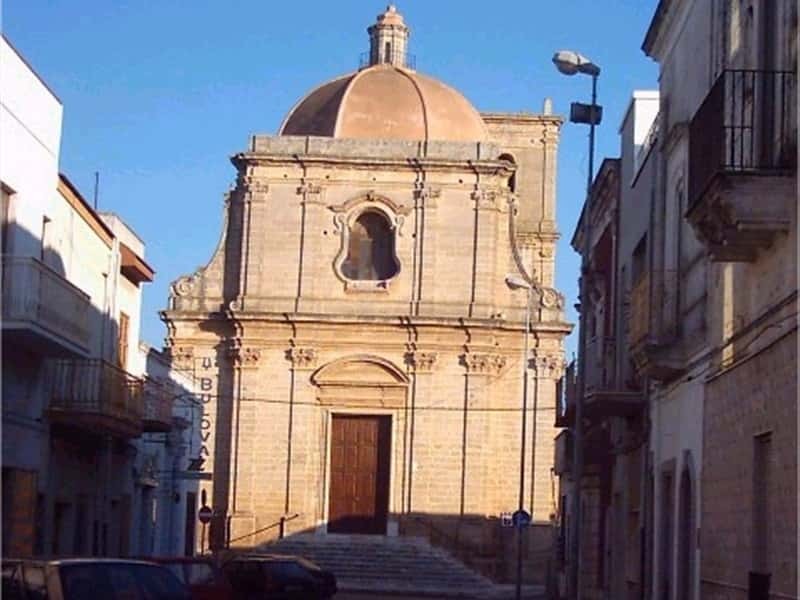 Fragagnano, town in the province of Taranto, has been built on the headland of low hill. It presents a flourishing agriculture and its vineyards produce some of the most appreciated wines of the region. Even though it has a small centre it is rich of history. The prehistoric people choose this area to build their huts, evidenced by exhibits found on Mount S. Sofia. The Greek lived here attracted by the presence of water reserves and the high and strategic position. Still now the "funtanedda" (fountain) flows from the rocks of Mount S. Sofia. Also the Romans settled here due to the proximity to the antique via Appia. Surely to be visited the Baron's palace, built in the historical centre in 1587. This town web page has been visited 16,587 times.